15mm diameter x 15mm long rubber. M5 x 15mm long stud on one end. 30mm diameter x 20mm. M8 x 20mm long stud on one end. 50mm diameter x 25mm. M10 x 30mm long stud on one end. Ideal for ECU's, Fuel Pumps, Oil Coolers etc. Ideal for Exhausts, Radiators, Oil Coolers etc. Ideal for Exhausts, Radiators, Fuel Pumps, Oil Coolers, etc. Ideal for Radiators, Oil Coolers, Fuel Pumps, etc. 16mm dia x 16mm with M5 x 6mm deep female threads. 42mm dia hex x27mm waisted rubber. M10x1.5mm x 18mm long studs. 50mm dia x 40mm. M10 x 10mm deep female threads. Fits hoses with an O.D of 11-13mm. Ideal for heating and ventilation. 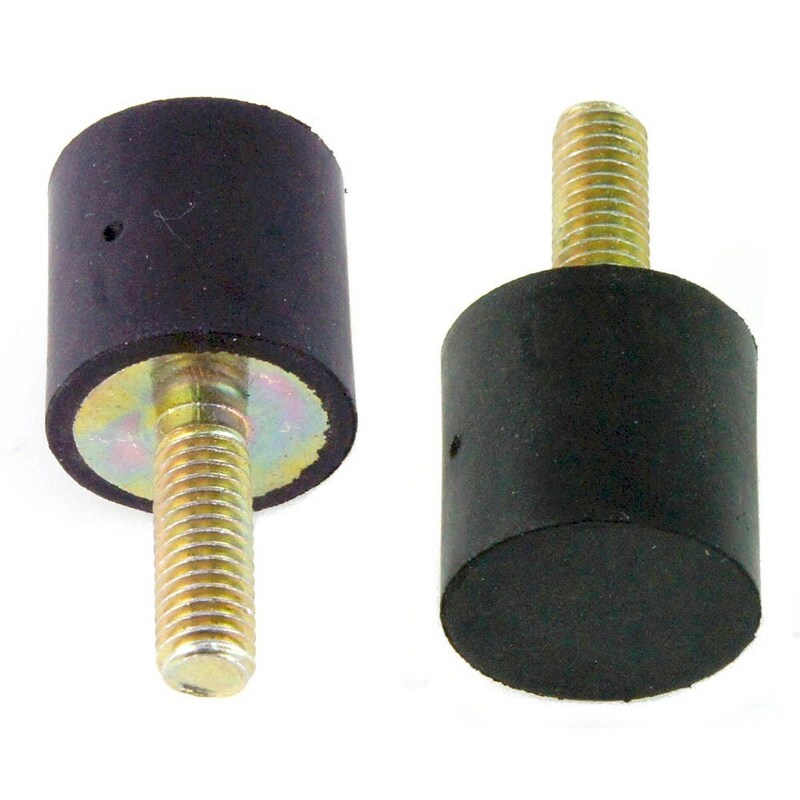 12mm thread depth and 6.5mm Mounting hole. Mounts through a 8mm hole.